Alexander Hoffmann has been working as an Attorney at Law in Kiel since 1998, focusing on criminal defence work. Having studied law in Kiel, he spent several years as a research fellow with Professor Horn, chair of criminal law, criminal procedure and the law of criminal sanctions at the University of Kiel. After his admission to the bar, he founded a law office in shared office space with criminal defence attorney Prof. Dr. Michael Gubitz in Kiel. Besides criminal law and migration law, he soon began taking on media law cases. His web site www.anwalthoffmann.de contains documentation of several judgments secured in cases concerning these and other areas of the law. Dr. Björn Elberling studied law in Kiel and passed his First State Examination in Schleswig. After his studies, he worked as a research fellow with the Walther Schücking Institute for International Law at the University of Kiel. After his judicial traineeship, with stages among others at the Hanseatic Higher Regional Court and the Yugoslav Tribunal in The Hague, he was admitted to the bar in 2010. His practice focuses particularly on criminal law and media law. More information is available on his personal web site www.anwaltelberling.de. 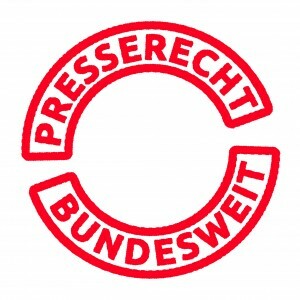 Dr. Elberling and Mr. Hoffmann have built a common practice in media law, representing, among others, union members, anti-fascists, political newspapers and others involved in political or civil society activities. Information concerning these activities is available on their web site www.presserecht-bundesweit.de. All reports beginning with that of 8 January 2014 have been translated into the Turkish language by Özge Pınar Warp, whose academic background is in the social and political sciences. Until December 2013, the translations were provided by Meryem Tiras, a social worker from Kiel.